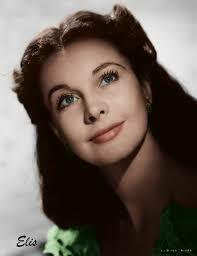 Few actresses have left a more indelible mark on American cinema than Vivien Leigh, if only because of her two Oscar-winning performances: the first was for her performance as Scarlett O’Hara in 1939’s Gone with the Wind, the second for her interpretation of Blanche DuBois in A Streetcar Named Desire from 1951. Both iconic films depicted the American South, the former in an idealized interpretation, and in the latter anything but. Notably, Leigh grew up as far from the United States as imaginable: she was born in British India in 1913 and made her name for herself as an actor in London during her early-twenties. Leigh felt her physical beauty proved a hindrance to her efforts to gain respect in her chosen career, but she soldiered on, acting often alongside her husband, the famous Laurence Olivier, numerous times during their twenty-year marriage. Sadly, Leigh’s later life was anything but glamorous. She suffered mental illness including bi-polar disorder and manic depression, while also fighting chronic tuberculosis. This latter would do her in at the young age of 53 in 1967.